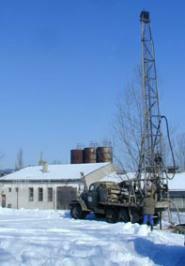 GEOMIN company is engaged since its establishment in a relatively wide scope of engineering geological problems. The activities in this field are managed by our specialists having been certified by the Ministry of Environment to project, perform and evaluate the geological work in the field of engineering geology. Compilation of engineering-geological maps for the territorial planning and risk management. 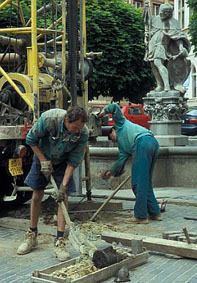 The maps also make part of the grounds for environmental studies and projects of line structures (roads, water supply systems, pipelines, tunnels). Studies for various purposes for construction projects (for the preparation of industrial zones, for the monitoring of engineering-geological conditions of historical town centres) and at areas of differing size. 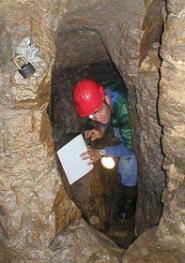 GEOMIN carries out all stages of engineering-geological investigation, from preliminary to detailed investigation. Investigation for railways, roads, piping structures (gas pipelines, oil pipelines, water supply systems) joins the methodologies of classical engineering-geological mapping and zoning and classical engineering-geological investigation. Provides information on the changes of engineering-geological conditions in the linear structure route. 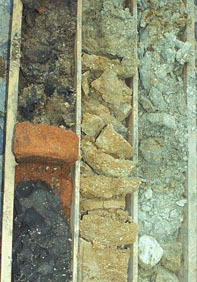 Determination of physical and mechanical characteristics of soils and rocks.